Vivo is burning candles at both the ends to establish a solid brand presence in the Indian market. Over the last few days, we’ve witnessed a ton of smartphone launches from the brand. 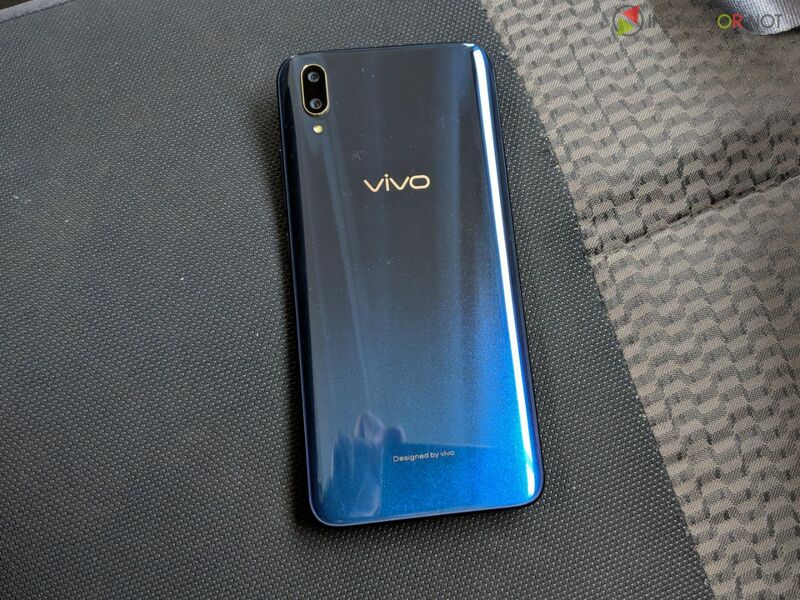 A short time ago the brand has launched its Vivo V11 Pro smartphone in the Indian market. Vivo V11 Pro has some features that are introduced in a smartphone of this category for the first time. The smartphone combines good hardware with a reliable software which further results in great experience. Our today’s story will be a boon for the users who are planning to buy the Vivo V11 Pro handset. Here is our review of the Vivo V11 Pro. There are innumerable smartphones from distinct brands in the same budget category which makes it more difficult to pick the best one. There is nothing to worry if you are confused between different devices. We will be discussing in our today’s story that how the Vivo V11 Pro performs in major departments including Camera, performance, and more. So without making any delay let’s get straight to the point. The first thing someone notices in a smartphone is its design and here we have to say Vivo has done an excellent job. Almost a year back it was unbelievable to imagine a 25K priced device with a super premium Glass Metallic design. Being a Glass device the rear and front panels attracts a lot of fingerprints and smudges. 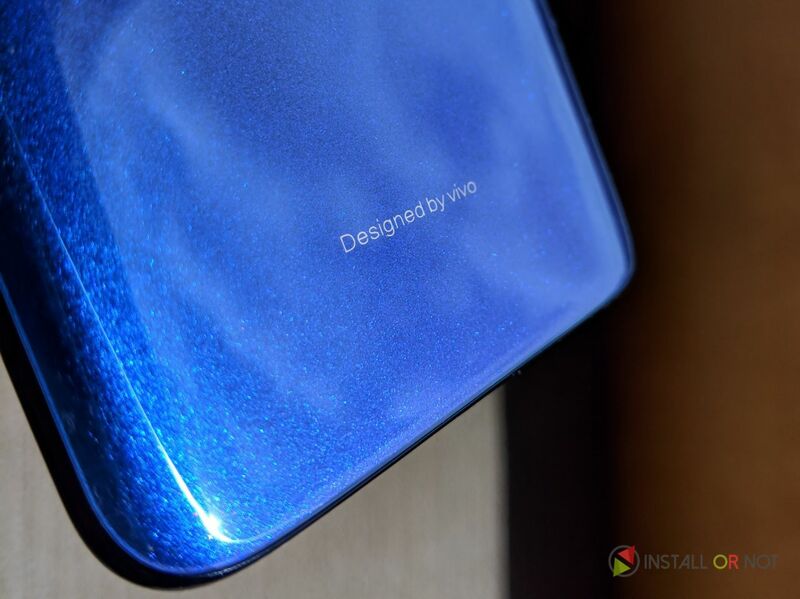 The device’s rear has a gradient design which reflects different colors whenever light falls on it. The rear panel of the device has a curved glass which makes it easy to hold it in almost any condition. Vivo V11 Pro houses a massive 6.41(inch) Full HD+ Super AMOLED Display with a resolution of 1080 x 2340 pixels, 19.5:9 aspect ratio. The Display has a semicircular notch which contributes to an increased screen-to-body ratio. 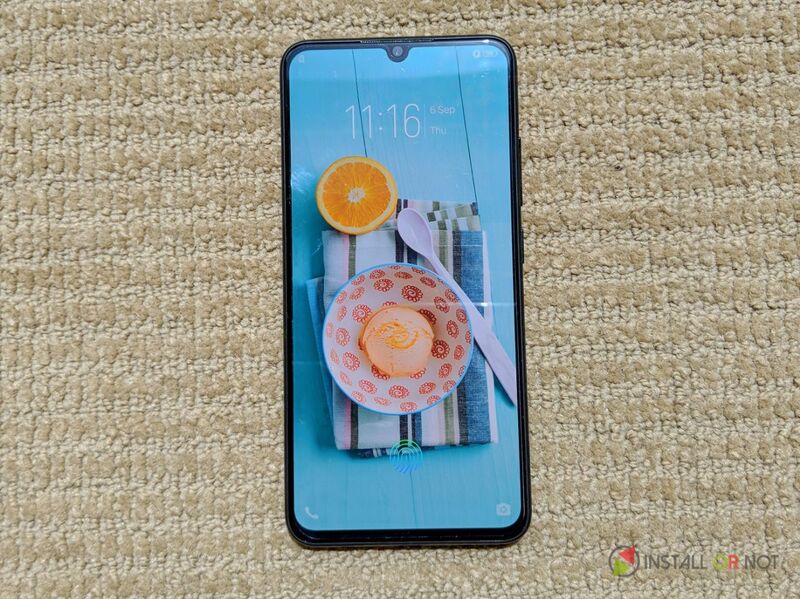 Vivo is calling this kind of notch as “Halo FullView”. 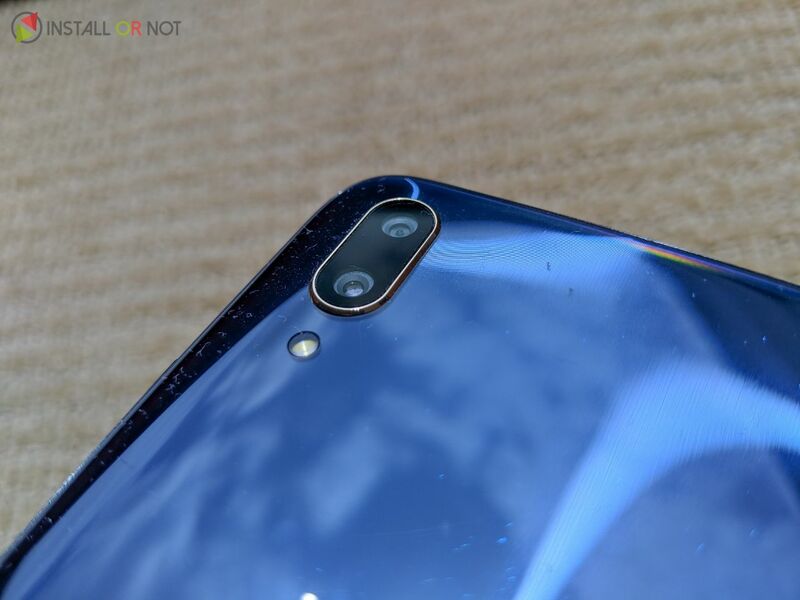 This small notch houses essential sensors, earpiece, and camera sensor. 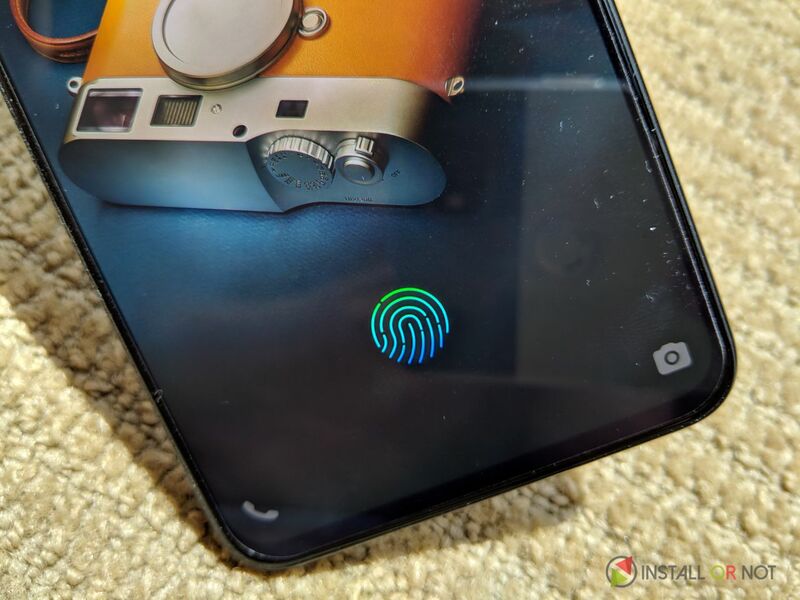 Instead of a regular Fingerprint Scanner found on a number of devices, it features an In-Screen Fingerprint Scanner which appears to be more futuristic. The Scanner is rapid but is not as reliable as a traditional one. Generally, these types of features are found on the premium expensive handsets including NEX-series. 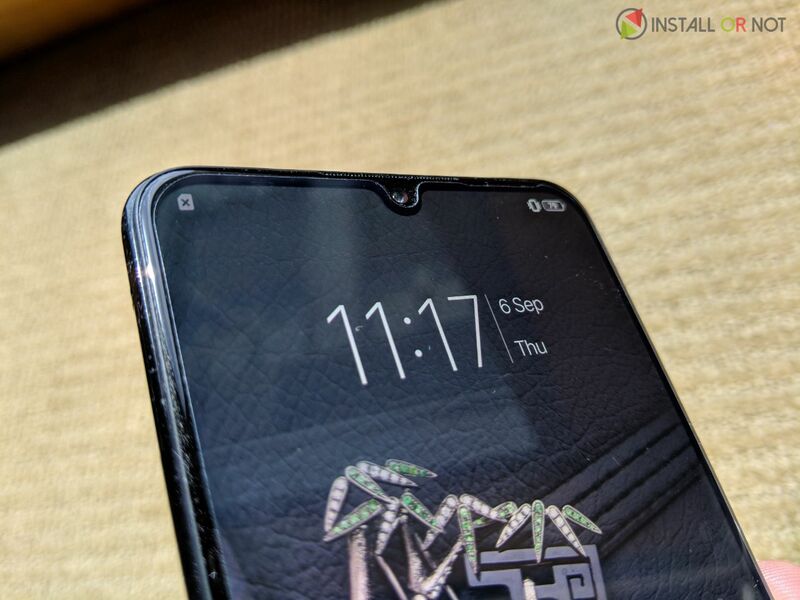 Similar to flagship devices Vivo V11 Pro uses an Infrared based Face Recognition which recognizes 1024 facial features to unlock the device. Facial Recognition is not as secure as a Fingerprint Scanner but is blazing fast and unlock the device in a blink of your eye. The handset comes powered by a Qualcomm Snapdragon 660(64 bit) Octa-Core processor coupled with an Adreno 512 GPU. The handset is only available in one variant with 6GB RAM+64GB ROM. Vivo V11 Pro supports expandable storage up to 256GB’s via micro-SD card. Similar to other devices like Mi A2 the performance of the device is buttery smooth and a user won’t face any lags whatsoever. The phone has been designed to achieve a great level of multitasking. For handling graphical performance there is an Adreno 512 GPU which works like a charm when it comes to gaming. Vivo V11 Pro comes with an AI-powered front and rear cameras. In the rear, a Dual 12MP+5MP Camera setup is there with an Aperture of f/1.7 on the main camera and f/2.4 on the secondary sensor. Camera setup is equipped with PDAF, LED Flash for fast experience. In the front, a 25MP selfie camera with Aperture f/2.0 is provided. In good lighting situations, the camera sensors of the Vivo V11 Pro performs well with an overall clear shot. The dynamic range of the camera has also worked well and we would say Vivo has worked a lot on the processing of images. The device offers Portrait Mode which works well in separating background from the foreground objects. Low light photography on the device is not as appreciable as on other devices. The images clicked in typical lighting situation lacks in details and color accuracy. Selfie camera coupled with AI works like a breeze. It offers portrait mode with an iPhone X like portrait lighting effects. AR stickers are also inbuilt in the camera app. Vivo V11 Pro runs on a custom FunTouch OS 4.5 based on Android 8.1 Oreo. The UI seems to be a blend of iOS, ColorOS, and MIUI. The software in day to day usage works well but takes a little time to get familiar with. Vivo also offers its own Jovi assistant which works fine but Google Assistant is already way ahead of it so according to us it doesn’t make any sense. V11 Pro houses a 3400mAh battery which will roughly give you a day backup. The device is having a USB Type-C port for Charging and Vivo is providing an 18W fast charger in the box. Vivo’s Dual-Engine Fast Charging can charge your device up to 40% in just 30min. Vivo V11 Pro is a perfect smartphone for a user who is looking for a blend of good looks and reliable performance. The implementation of all things tech mixed with that attractive design is appreciable and nearly makes it a no-brainer. You are getting an In-Screen Fingerprint Scanner, AI-powered cameras, Premium design, etc for a price of INR 25,990 which is not a bad deal at all. LG X-Boom AI ThinQ WK7 Review: Sounds Smart?